A Dakota County Judge recently dismissed a prostitution charges that was waged against Mr. Schafer’s client after his client was accused of improperly touching an uncover police officer during a message. 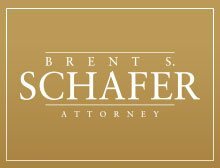 The court held that despite numerous request for sexual services by the undercover officer, Schafer’s client “repeatedly refused to perform the requested sexual acts.” The court concluded the Schafer’s client did not violate any criminal statutes and dismissed the charges for lack of probable cause. This Order was the result of a motion file by Mr. Schafer seeking dismissal of the charges for lack of probable cause. A hearing was held during which time the court accepted evidence and later considered legal briefs submitted by Mr. Schafer and the prosecution.